The best part about living in 2016? The increasingly wearable gadgets that make you feel more and more like James Bond—for better or worse. Take this new smartwatch that lets you watch movies or your latest video communique from MI6, projected onto a nearby wall. It’s called the ASU Cast One. First, it’s a smartwatch running a version of Android Lollipop. Second, it’s a freakin’ movie projector. What?! The company says it projects up to six-and-a-half feet in distance and the screen expands to 60 inches. ASU says it rivals home theater projectors with its 720P resolution, though the wearable’s 700mAh battery won’t last very long. It’s made by the Chinese startup ASU, who say that Airplay, DLNA, and Miracast are all available on the watch, so you can share content to different devices, like a TV or speakers. 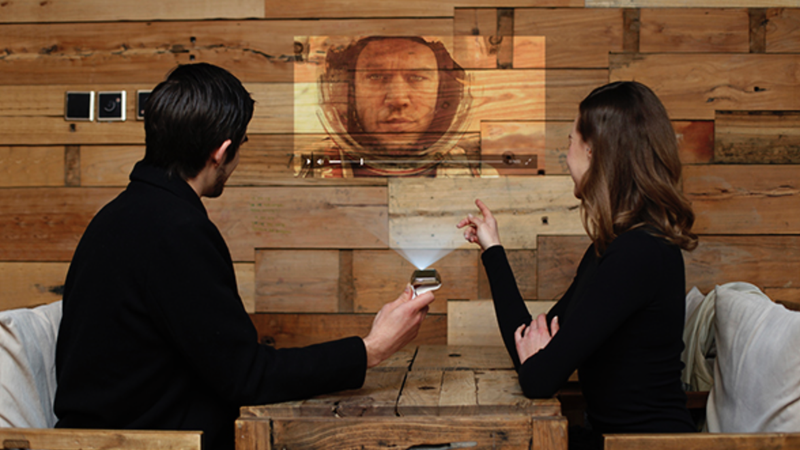 It’s preeeeetty unlikely that a watch would make a good movie projector, however. Furthermore, home projectors are still an increasingly exciting little market, and you can get one that’s only a little more expensive than this watch, but get a way bigger and surely sharper picture. Still, it looks crazy. The watch should launch in China in March and June in the US for $300. Just don’t shine your latest Netflix favorite in anybody’s eye. Gizmodo’s on the ground in Las Vegas! Follow all of our 2016 CES coverage here.